There is some conjecture over the exact date when the first game was played, but it is widely held to be towards the end of the 1961—2 season, probably February 1962. It was away to Hove Yeoman (third team) and was played on the Nevill Playing Fields in Hove. In those days, a try was only worth three points, with the conversion worth another one. BHRFC were victorious on their first outing, with the score believed to be 28—0. The weight, power and raw physicality of the pack were instrumental in providing ample possession. Centre Geoff Curtis (then P E Master at Oakmeeds) bagged three tries himself, having already played for London Welsh in the morning !! As well as Fletcher, Willis, Parker and Curtis other members of that first XV included Rodney Debenham, brothers Andy & Paul Fisher, Roger Brown, Robbie York, Peter Shorland and Chris Cann. The first full season was to be 1962—3, and the first home pitch was on Fairfield Recreation Ground with changing ‘facilities’ at the Park Centre. These were the sinks and a Tin Bath in the boys toilets !! An interesting and not widely known fact about that pitch was that it was, apparently, 100 yards long on one side, but only 90 yards on the other side !! Socialising after matches was in an upstairs room at the Kings Head public house. However, that only lasted until a rowdy celebration after one match caused beer to flow down through the floor thereby blowing all the fuses in the pub. After that the Potters Arms and then The Junction Inn became the after match haunts of the club, until a proper clubhouse was opened in 1970 at the club’s present HQ, Southway Recreation Ground, Poveys Close. That first full season saw the fledgling BHRFC lose just three matches all to Sussex University !! Another ‘highlight’ of those early years was the visit of Gloucester Civil Service to Burgess Hill on tour. Their particular claim to fame? The consumption of 53 gallons (424 pints) of ale !! The club’s lowest ebb probably came during its first five years or so of existence, when a number of players stopped playing for various reasons. However, Team Secretary at the time, Adrian Goodman, hit on the ingenious idea of getting banned footballers to play rugby to fill in the holes and ensure fixtures were fulfilled and that the club stayed afloat. Obviously the passing of 40 years has seen a number of changes for Rugby Union as a sport, as well as for Burgess Hill RFC as a club. The following individuals are approved by Burgess Hill Rugby Club to take still photographs and video recordings of rugby matches and training sessions, across all age groups. All approved photographers have current enhanced DBS certificates and will be pleased to produce their ID upon request. All parents/guardians of Burgess Hill RFC players are asked to sign a form approving the taking and use of photos, videos etc. in circumstances as set out below. This will be incorporated into the registration process and therefore completed and reaffirmed annually. Those images taken or used by Burgess Hill RFC (“the Club”) itself are in accordance with full RFU guidelines (see RFU Safeguarding Policy). The Club will not be responsible for photographs or videos taken or used by any third parties. Anyone taking photographic images or making a recording at a rugby event must have a valid reason for doing so. They should make themselves known to the event organisers and be able to identify themselves if requested to do so before, during or after the course of any event. If a parent/guardian chooses not to sign the declaration or changes their mind at a later date, then the Club reserves the right not to allow the relevant player to participate in events where they could reasonably be expected to be photographed or videoed. If you become aware or suspect that any images are being used inappropriately you should inform the club Safeguarding Officer. In the case of other clubs with whom the Club comes into contact e.g. joint training, matches, festivals etc. the Club will advise them of our policy beforehand. If the other club does not have a similar policy and parental approval in respect of photographs is not available, the responsibility for monitoring photographic activity will rest with the officials of that club. No photographs or video of children or vulnerable adults will be displayed in any public forum without express permission being given by the parent or carer. Use of such photographs within social media will be restricted to closed or secret groups only. If at any time either the parent or carer of the young person wishes the data to be removed from the website or social media, the club safeguarding officer should be informed in writing. Photographers from visiting teams or otherwise outside of BHRFC are asked to strictly observe the policy as above but also to make themselves known to BHRFC officials upon arrival at the club, and must be able to identify themselves if challenged. Are you a local company? Have you a product or service you want to promote? 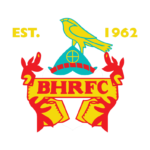 Ever thought of advertising with BHRFC? Then why not team up with Burgess Hill Rugby to increase the profile of your company? Advertising with Burgess Hill Rugby Club offers a fantastic platform for promoting your company profile, brand or service. As an eminent club in the South East we enjoy tremendous regional recognition with a fantastic “Sussex All blacks” brand.